Radios with Adaptive IF (aka DSP). Incorporates Digital Signal Processing into its FM section, a feature that the manufacturer called Max Tune PRO. Included on CDA-7878R, CDA-7876R, CDA-7873R, CDA-9812R, CDA-7944R, CDM-7871R, TDA-7592R & INA-N333RS. Max Tune PRO receivers are no longer available. Utilizes four conventional ceramic filters for FM IF which are fed into the TDA7461 Car Radio Signal Processor Integrated Circuit. Made in Japan. Incorporates Digital Signal Processing into its FM section, a feature that the manufacturer calls SSIR-EXA adaptive reception. According to Sony, this minimizes interference between stations. Utilizes two (2) conventional ceramic filters for FM IF which are fed into a proprietary Sony Noise Suppressor IC. Incorporates Digital Signal Processing into its FM section. Included in all models as a standard feature. Panasonic also manufactured a series of high end car receivers with switchable bandwidth. My calculations indicate this is equivalent to: 2 µV or 17.2 dBf once converted. Incorporates Digital Signal Processing into its FM section, a feature the manufacturer calls the Sharx Digiceiver digital adaptive filter. According to Blaunpunkt, this optimizes channel separation so station signals which are extremely close to one another are separated cleanly. Blaupunkt also manufacture Digiceivers for modern day VW/Audi, Mercedes & BMW cars available in Australia (as pictured from the Audi A3). RDS-EON/PTY support. 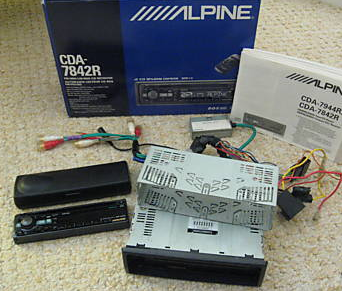 The Digiceiver is the most selective DSP car receiver tested for 100 kHz & 200 kHz signals, relative to the Alpine, Sony, Panasonic, Pioneer & JVC models. A component tuner but more compact, with the same dimensions of a car receiver. Incorporates Digital Signal Processing into its FM section. Basic RDS support. A portable radio that incorporates DSP developed by Silicon Labs into its FM section. Also 'rebadged' as the Grundig G8 in the Americas. These radios have been used to receive Summer Es FM reception from over 2,300 kilometres away. What more needs to be said? Soft Mute characteristics Engages for FM signals with a signal to noise ratio of 4 dB or less. * denotes a non-standard tuner sensitivity measure. These specifications relate to their unmodified FM section performance. 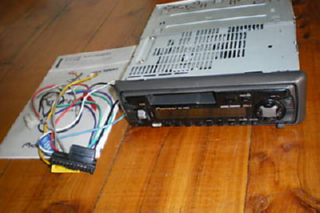 Car receiver measurements have been sourced from the service manuals. Portable radio measurements have been sourced from the data sheets. The Sony CDX-S2000S has been modified slightly. The original FM IF filters have been replaced with narrower 56, 80 or 110 kHz ones. These filter modifications may improve or degrade individual values. Even though they are designed for "in car use", the car receivers are used inside the house with 12v DC power using Jaycar regulated power supplies.